Rugose rose (R. rugosa) is another outstanding rose, this one living up to its reputation for being tough. So much so that it’s considered invasive in some places. Still, I like it for its nonstop blooms of single, usually pink-red flowers, its strong fragrance, and its nice hips — fruits that is, very tasty. Mulberries have ripened, so a taste test was in order: Illinois Everbearing vs. Oscar vs. Kokuso vs. Gerardi Dwarf vs. random seedling. Oscar was best with Kokuso and the seedling a close second, followed by Illinois Everbearing and then Gerardi Dwarf. These ratings aren’t writ in stone, for me, because confounding everything were big flavor changes that depended on slight changes in ripening — I think. Note that black mulberry — the species Morus nigra — was not in the running. That’s because the fruits won’t be ripe for awhile and because, I know from experience, it’s far and away the best of them all. 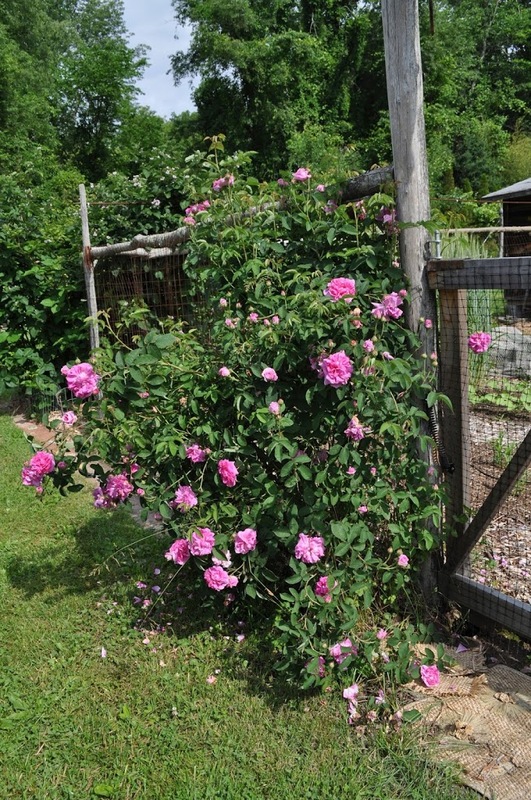 This entry was posted in Uncategorized and tagged David Austin, Father Hugo, Knock Out, Morus nigra, mulberry, Rosa rugosa. Bookmark the permalink. Trackbacks are closed, but you can post a comment. « Mulberries, And The Winner Is . . . Most of the places I look to find black mulberries offer them as hardy to zone 4 or 5. 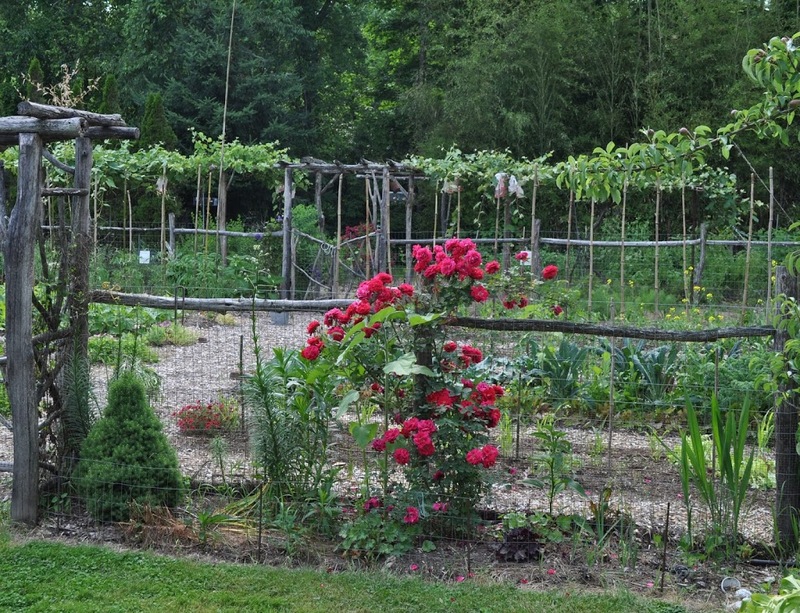 Is this mistaken, prevarication, or are there some new, super-hardy varieties out there? If there are, I want some. BTW, most of these places specify Morus nigra, so they shouldn’t mean just “mulberries that are black”. I think they’re wrong. Everything I’ve read from the past century indicates that M. nigra is not hardy beyond Mediterranean climates. I hope we’re all wrong. As I wrote previously, I did graft a branch of M. nigra onto a mulberry seedling growing outdoors here in Zone 5. The graft has taken. We’ll see how it looks next spring. 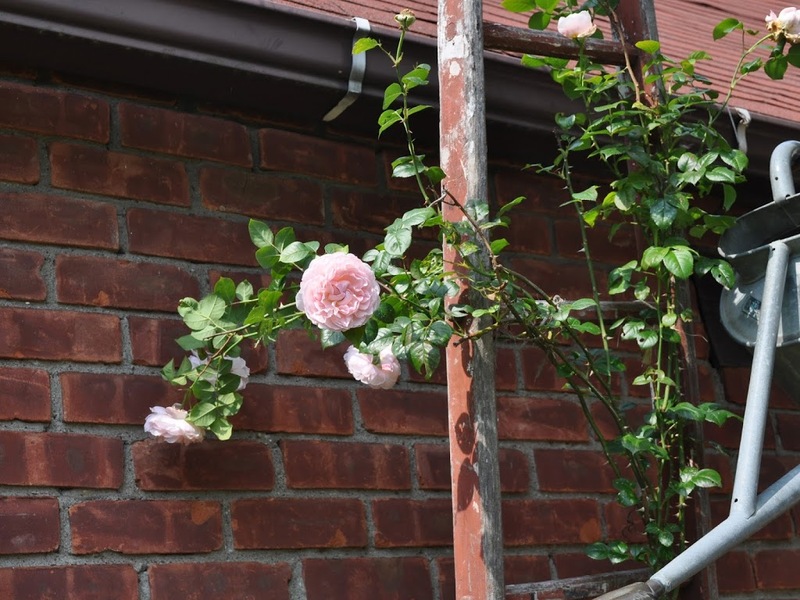 lee, would a knock out rose or a rugoso be a good choice for training near a rock wall for a good pop of color and texture? Yes, either would be good. 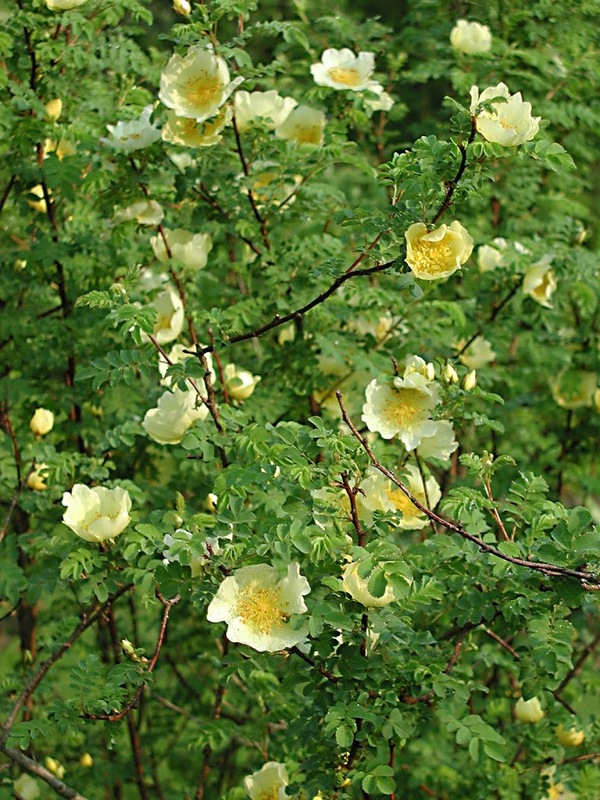 Rugosa spreads a little by underground runners, which could be good or bad, depending on the site. I don’t think you have Rose de Rescht, a plant that was once fancifully (and somewhat hyperbolically) described as “a sturdy, yard high bush of glazed lizard-green, perpetually emblazoned with full camellia flowers of pigeon’s blood ruby, irised with royal purple, haloed with dragon sepals like the painted blooms on oriental faience.” Yours looks to be a lighter pink and the bush and flowers look too big and leaves too small, judging from what one can make out from the photo. It is very nice, though, whatever it is. Old roses are the best! 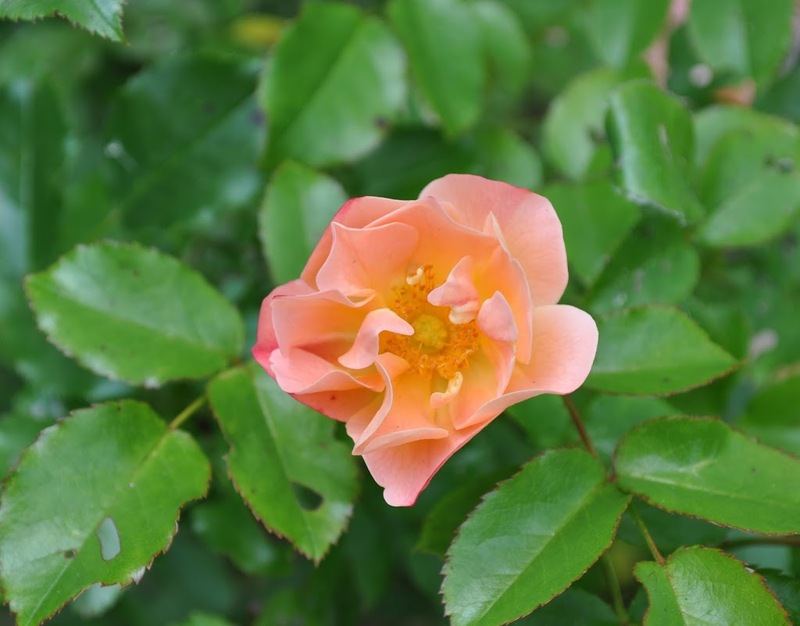 I do have Rose de Rescht and although I love it (partly because of the extravagant description in old books), the “lizard-green” leaves do get a diseased appearance as the summer wears on. I have seen and smelled specimens that were very fragrant. Mine isn’t — perhaps my city garden is too windy. But the small (2″), round (almost magenta) flowers set in among the large light green leaves are quite distinctive.